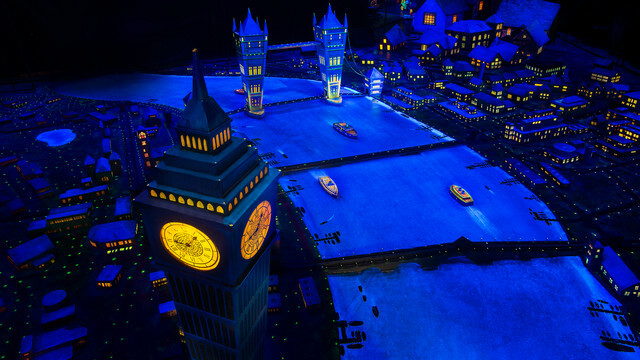 Even before they soar above the rooftops of London on their way to Never Land, Magic Kingdom guests experiencing Peter Pan’s Flight are immersed in a magical world thanks to a new interactive queue. The eye-filling opening scene includes a corridor of interactive murals. Tinker Bell flies around the room and gets playful in the nursery of the Darling children. Enthralled guests are able to interact with some of the toys; their own shadows dance and play on the walls with the characters of the epic story, before being sprinkled with pixie dust and flying away. Anyone else excited to try out this new queue? Have you seen it yet? So excited to ride Peter Pan’s Flight this Spring Break Disney World. My step son’s favorite cartoon is Peter Pan and when we went to Disneyland this past summer it was closed for renovations so Peter Pan and Nemo were the only two rides we really missed out on.